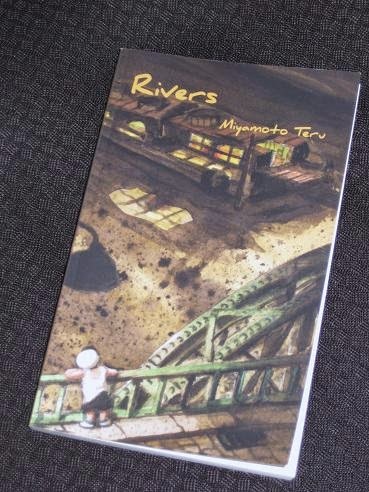 Teru Miyamoto’s Rivers (translated by Ralph F. McCarthy and Roger K. Thomas, review copy courtesy of Kurodahan Press) brings together three of the writer’s most famous pieces. 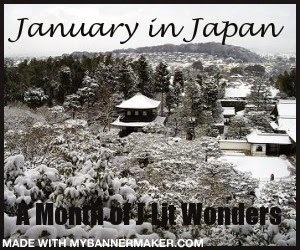 ‘Muddy River’ won the Osamu Dazai Prize in 1977, while ‘River of Fireflies’ was awarded the 78th Akutagawa Prize the following year. These two novellas run to about about fifty pages each, but the third story, ‘River of Lights’, which also began life as a novella, was later expanded into a 150-page short novel. The three parts of Rivers are unconnected in terms of characters and plot; however, as you’ll see, there’s a lot which links the stories together and justifies the decision to collect them in one volume. The story focuses on a short period of Nobuo’s life, one in which he meets Kiichi, a boy living with his mother and sister on a houseboat. The two boys quickly become friends, but Nobuo gradually comes to realise that Kiichi’s circumstances are very different to his own, learning a few lessons about life on the way. Starting slowly, the story gradually reveals the different facets of the Dotonbori area, introducing the reader to drag queens, strippers, billiard halls and the neon lights dominating the quarter. The greater scope of ‘River of Lights’ allows Miyamoto to spread his focus, and the second major character of the story is Takeuchi, the owner of the café. He becomes a kind of guardian to the parentless Kunihiko, despite the fact that he has a son of his own, a billiard player working his way up the ranks of the Osaka hustlers. In the floating world of Dotonbori, the café owner eventually decides that it’s time for him to intervene in the lives of both young men, either with financial help or with his trusty billiards cue. While I enjoyed my previous look at Miyamoto’s work, the short-story collection Phantom Lights, Rivers is a far better book. All three of the stories provide intriguing glimpses into the Japan of the time, with traces of the post-war poverty evident in each of the pieces. There are old soldiers with visible war wounds, bombed buildings with people setting setting up stalls amongst the rubble and businessmen with an eye for profit taking advantage of the opportunities to make a quick fortune. It’s also hard to avoid the feeling that the three books form a deliberate trilogy, one in which the writer explores his own youth vicariously. While the main characters are different, each time we move on seven years, as do the boys. Each of them is forced to contemplate mortality (with the first death occurring a matter of pages into ‘Muddy River’), and we move from a young boy with a sick mother, to a teenager with a dying father and then finally meet a young adult who has lost both parents. The words come from the mouth of his walking companion, but the sentiment could be his own. Having followed the progress of the youth of the time, the trilogy actually has an open end, where we wonder what will become of Kunihiko, or his next incarnation. I love that first quote especially – sounds like there's a strong sense of place here. Stu – This is his third in English, from memory, and I've read two of them. Tempted to see what the other is like if I can get hold of a copy.